With quiet grace and dignity our dear Husband, Dad and Pop, a man who lived life on his own terms, has finally been released. Predeceased by his parents, brothers and all other deceased members of the Ryan and Curtis families. On October 10, 1964 he married the love of his life Mary (nee Curtis). Together they raised six loving and supportive children whom they adore: Darlene (Glen O’Neill), Otto, Mona (Mark Hartery), Pamela (Curtis Pennell), Della, Roger (Wendy). He was blessed to have eleven grandchildren who brought so much pride and joy to his life: Dylan and Marykate; Taylor; Ryan and Samantha; Victoria and Matthew; Ethan and Jada; John Thomas (J.T.) and Nyah. Also, leaving to mourn his brother Cyril (Kathleen); his sister Rita Pennell; his brothers Richard (Joan) and Paschal (Dianne), along with numerous nieces and nephews who hold a special place in his heart. The outpouring of compassion and support during this most difficult time is greatly appreciated. Our Dad was so fortunate to have such a large circle of dear friends. He was known for his infectious smile, great sense of humor and his unique and loving personality. He will forever be with us. Visitation will take place on Tuesday, January 22 from 12-9 and Wednesday, January 23 from 10-5 and 6-9 at Caul’s Funeral Home, 84 LeMarchant Road. 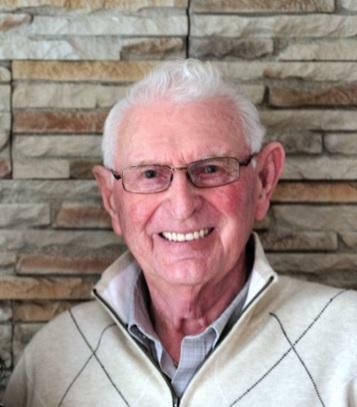 Funeral Mass will take place on Thursday, January 24, 2019 at St. Peter’s Parish, Mount Pearl at 10 AM. Cremation to follow. Flowers are graciously accepted, or donations in John’s memory may be made to a charity of one’s choice. Special thank you for the compassion and care provided to John by the staff at St. Clare’s as well as his family care physicians Doctors Thomas McGarry and Roy Chaulk.